You'll be £19.99 closer to your next £10.00 credit when you purchase The Secret South. What's this? Seventy years after the end of World War II, the full story of Britain’s secret Antarctic expedition has still never been told. Launched in 1943, Operation Tabarin was an expedition to secretly establish bases, keep a watchful eye on German and Japanese activities, and curb opportunistic Argentinian incursions. Ivan Mackenzie Lamb was the expedition’s botanist but, until now, his narrative has never been published. His account provides a fascinating insight into this top secret military operation. He was a member of the naval party that established three manned bases, he remained in the field throughout the operation’s two-year duration and took part in all three major sledging expeditions. After the war, he used his diary to complete a vivid story of his time in Antarctica. It is a key eyewitness account and has been illustrated with contemporary photos and expedition maps. 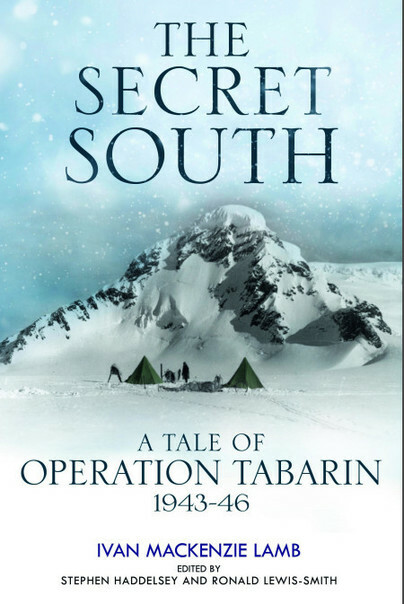 Operation Tabarin is without doubt one of the most significant expeditions of what might be described as the ‘post-Heroic’ phase of Antarctic exploration; ultimately it would develop into the British Antarctic Survey, arguably the most important and enduring of all government-sponsored programmes of research in the Antarctic. Operation Tabarin also set in train a series of events that would lead, ultimately, to the Falklands War of 1982. To say that this book is a revelation is an understatement. In 1942, a group of Argentine naval personnel went ashore in the South Shetland Islands, part of Antarctica, and claimed them and a large area of the Antarctic continent for Argentina. Sound familiar? The Argentines had assumed that the pressures of fighting a World War would mean that there would be no reaction from Britain. However, they were wrong and a combined scientific and service team was sent in December 1943to establish a British presence and commence scientific work and exploration. This book was written by Ivan MacKenzie Lamb, a distinguished botanist working at the British museum with a lifelong interest in Antarctic lichen. Disillusioned by the horror of war, he welcomed joining the team as he hoped it would restore his faith in humanity. This is an extraordinary story of an old fashioned Antarctic adventure under fairly basic conditions. Lamb’s account is an enjoyable, enlightening read and highly recommended. A hitherto untold story is set to shed light on a top-secret mission instigated by Churchill and the War Cabinet during the Second World War.